Joelle Dietrick was awarded a $10,000 grant from the National Endowment of the Arts to support her project Systems + Circumstance. The NEA works to strengthen creativity in communities through opportunities for arts participation. This grant was awarded to only 163 non-profit organizations nationwide. In the Challenge America category, this grant supports projects that reach underserved populations. Recipients of the funding must be able to work with an organization that is not eligible for NEA funding. The funds from this grant supported a collaboration with the PACE Center for Girls, a local, accredited, non-profit school for at-risk girls. PACE provides girls with education, counseling, training, and advocacy for a better future and achievable potential. 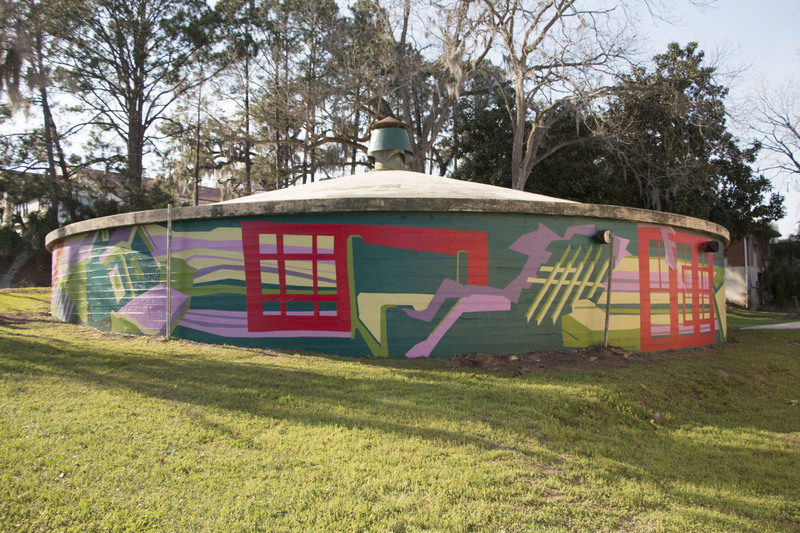 This project sought to revitalize a Tallahassee cistern from a former waterworks facility that had become an eyesore. The visuals for the mural relate to housing and have been generated through a series of computer art workshops with all 60 students at PACE. 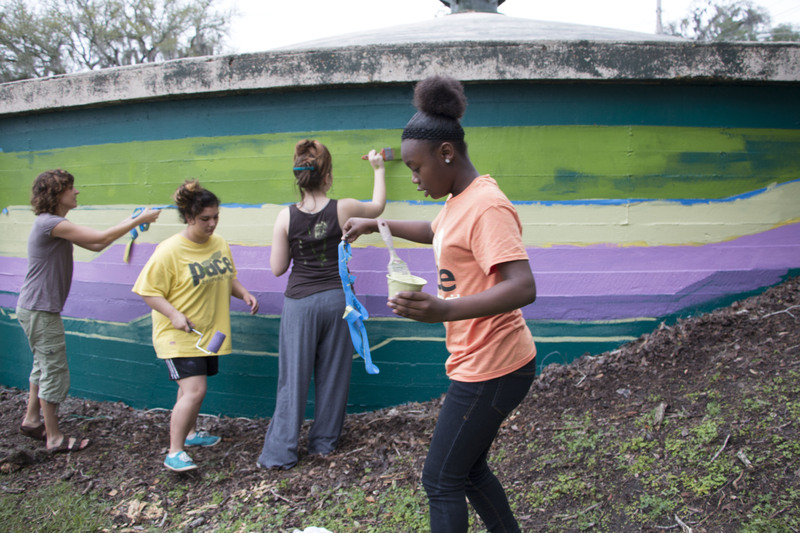 Recognizing that 15–30 percent of PACE girls are home insecure and 96 percent are eligible for the Federal food lunch program, the subject of the mural focuses on our country’s shifting assumptions about housing in America. Before the workshops, they took photographs of their homes and a favorite object. During the workshops, they used these photographs to create color palettes and fragmented imagery. Finally, students used Inkscape, a free, open source image-editing program, as a tool to see their palettes and imagery made into flat shapes that could be easily combined with other students’ work to make one large image for the mural. The mural was painted from March 8th to March 13th at the intersection of Gaines and Gadsden. The public was invited to stop by and participate.